Photoshop has become synonymous with “beautifying” photos that would otherwise have imperfections. In some cases, this is OK, and magazines and online media do this with a subject’s consent. 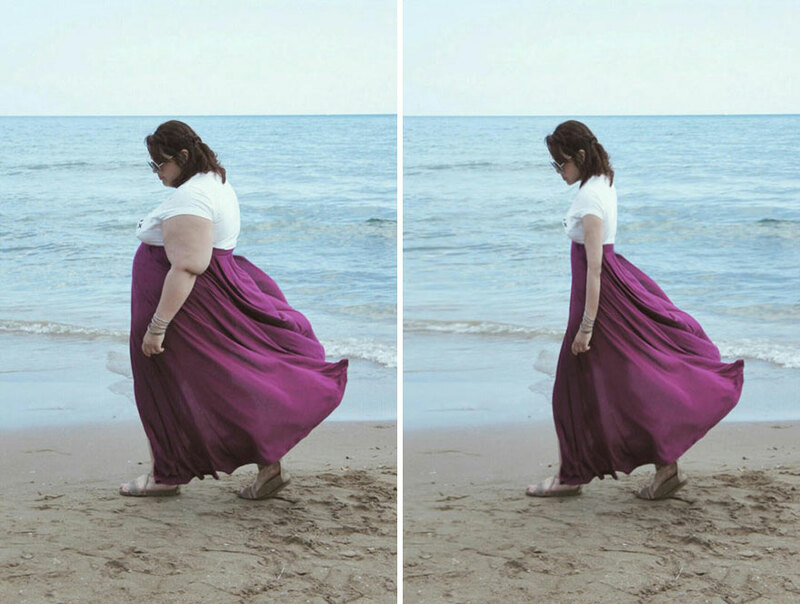 Recently, however, a group going by the name of “Project Harpoon” (Facebook page presently shut down) has drawn criticism for photoshopping plus-sized models to appear thinner. An offshoot of ThInnerBeauty, a website and subreddit, the group aims to “inspire” its targets to lose weight. 0 responses to "Facebook Group Photoshops Plus-Sized Women To ‘Inspire’ Them To Lose Weight"